card text: When Clam Session comes into play, choose a word. 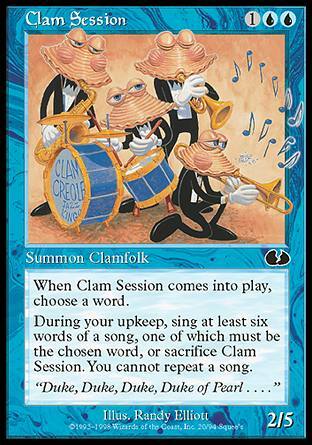 During your upkeep, sing at least six words of a song, one of which must be the chosen word, or sacrifice Clam Session. You cannot repeat a song.